Ahhhh, that perfect blow out. Our customers always comment that they can never quite achieve at home the finished salon look they get at Therapy Hair Studio. Is it because we have the best hairstylists in Houston? Do they have special magical powers? Or is it possible for them to teach you to do it yourself? 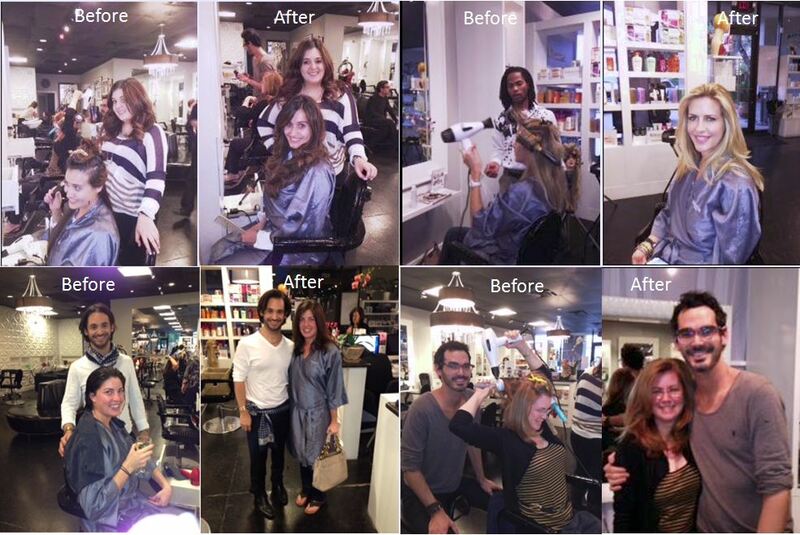 On Friday, October 26th Therapy held their Fall Blow Dry Boot Camp. All of the Therapy Hair Studio hairstylists had one lucky student in their chair who, with their own dryers, products and brushes, were shown step-by-step what to do to get that finished look. All the proceeds from the fall Boot Camp were donated to the Leukemia & Lymphoma Society. Let us know if you would like to be on the list for the next Blow Dry Boot Camp taking place in January 2013.